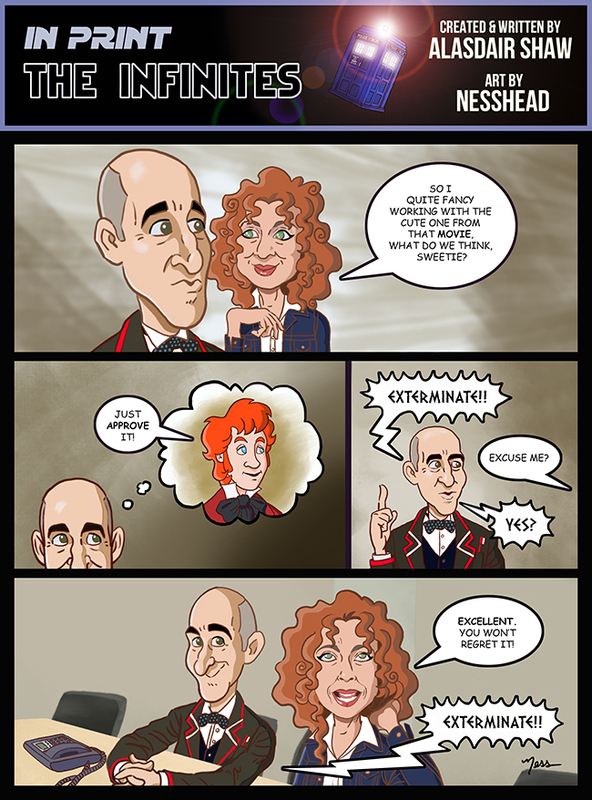 This is pretty much how I envision the way the casting went for 'The Diary of River Song', I'd be quite disappointed to find out it involved a more mundane process. In other news friend of the site and occasional designer (well we nick (with his blessing) designs he's done, that counts right?) Paul Hanley has set up a Patreon account. I can't recommend you sign up strongly enough. I'm planning to just as soon as I sort a few bits and bobs out myself. 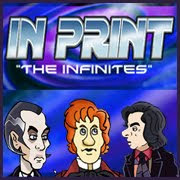 Well, that's it for the Infinites for just now. It turns out I'd stopped mid arc, so it's back to Who's Cat next week whilst I get more scripts into Nesshead and Jim. I've come across a few more cats whilst researching Loose Canon and so I think we'll be expanding the cast pretty soon. 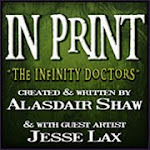 Speaking of Loose Canon, how would you guys feel about me setting up a separate Facebook page for it and the discussion of Alternate Doctors in general? Feel free to let me know in the comments section.